I had created the character of Emily Preston as a slavery-questioning Charlestonian long before I heard of the Grimke sisters. I knew there had to be dissension in the South; not everyone could be a rabid, card-carrying Secessionist. But because of the heavy-handed tactics employed by those who advocated slavery, it was difficult to find real-life individuals who spoke up in the face of intense persecution. Angelina and Sarah Grimke did just that. Sarah was born in 1792 and Angelina in 1805, to a well-to-do, slave-holding family. Their father, John Faucheraud Grimké, was a Revolutionary War hero, judge, and politician. They were 2 of 14 siblings, not all of whom lived. Angelina was the baby. At a young age, Sarah began to hate the abuses she saw heaped upon the slaves in her own household and spoke out against them. She took a primary role in the raising of her younger sister, actually talking her parents into letting her become Angelina’s godmother. It is no surprise that Angelina adopted Sarah’s views on slavery. Both of the girls’ diaries are filled with their emotional responses as well as their pleas with friends and family to eradicate slavery. Their admonitions had little effect on Charleston society or even within their own family. In 1821, Sarah moved North to insulate herself from the institution that so disturbed her, eventually embracing the Quaker faith. 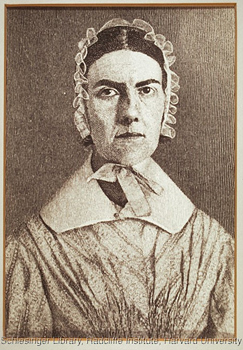 Angelina followed in 1829 and also became a Quaker. Eventually, amidst a great deal of persecution even in the North, both joined the Abolitionist society and became outspoken proponents of emancipation as well as forerunners for women’s rights. Sarah and Angelina feature only peripherally in Ella Wood. I don’t even model Emily after them, as her personality and motivations were already fully formed. But the Grimke sisters serve as verification that my story is plausible. Perhaps the biggest contribution these women make to the figure of Emily Preston is in their frustration with the limits of a girl’s education and the resulting lack of marketable skills as an adult. Both Grimke girls were well-educated by standards of the day, but Sarah, in particular, longed to expand her mind beyond that which was acceptable. She tried studying Latin and law, but was ridiculed by both her father and her closest brother and gave it up. Later in life, she futilely sought employment but had to content herself with living as a dependent in the household of friends. 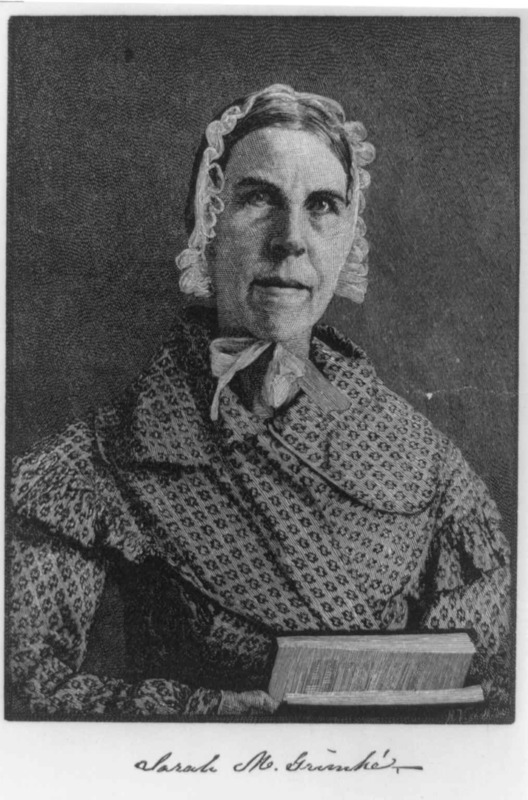 Again, Emily’s passion for further education, as well as her frustration at societal restrictions, were already in place, but I’ve drawn tremendous inspiration and verification from the historical figure of Sarah Grimke. Next post: Distances and Speeds. I read a book that was about the Grimke sisters, and I can’t remember the name of it. I think we talked about it. Don’t think I reviewed it. It was a YA or adult book, maybe. I remember the story and how they freed a slave very clearly. You’re right, it does add credibility to your story — at least you are hinting at what Ella Wood may be about. I read Candle Star again, about two weeks ago, and loved it all over again. Can’t wait for Ella Wood. You are so good with research! Yes, we did talk about it. The ones I read were anotated biographies, which I do enjoy, but they’re a lot harder to get through than fiction! Was yours Sue Monk Kidd’s “The Invention of Wings”? I’ve seen that but didn’t want to read it until my own story ideas were established. I finished Ella Wood yesterday just after midnight. Taking a couple days off to work on cover and blurb, then I’ll read the whole thing one last time and send it out to my beta readers–(thanks!). So, soon! Thank you! Yes, It was “The Invention of Wings” I listened to last year on audio book during a trip. I knew I didn’t review it. Don’t blame you for not reading stories until your own story is established. You are seeing the light at the end of the tunnel. Looking forward to reading Ella Wood. Thanks, Erik! I love finding the real faces behind history. For me, it’s part of the lure of writing historical fiction. I enjoyed the story of “The Invention of Wings,” but remember being slightly annoyed at the dialogue, which seemed too modern to me, as though Sue Monk Kidd hadn’t properly researched the way people spoke then. With your background in historical fiction, I know you’ll sidestep that issue. And because of the success of Kidd’s novel, I think yours has an even more high-profile niche now. Dialogue is tricky, and it is one of those things I have to be very conscious of or I slip into modern vernacular, too. I did a little research into the Gullah (slave) dialect. I confess that was well beyond me, but I hope I caught enough to sound somewhat authentic. Boy, I hope I could pull along in Kidd’s wake! When do you get back from your road trip, Gretchen? I confess, I haven’t followed it very closely. I’m sure you’re having fun!